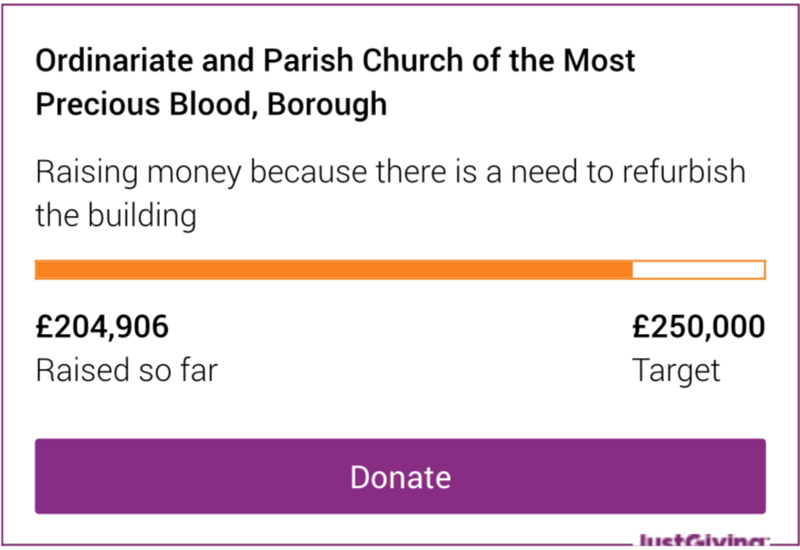 On Sunday 5th July at the Mass celebrating the Feast of the Most Precious Blood, an appeal was launched which aims to raise £125,000 in each of the two years running up to the anniversary. A total of £250,000 is needed to complete the flooring and make the church more accessible, to redecorate the walls and improve the electrical and lighting systems. The final stage will be to rebuild the pipe organ in the West Gallery. The Right Reverend Monsignor Keith Newton presided at the Mass and has kindly agreed to be co-patron of the appeal along with The Most Reverend Peter Smith, Archbishop of Southwark. 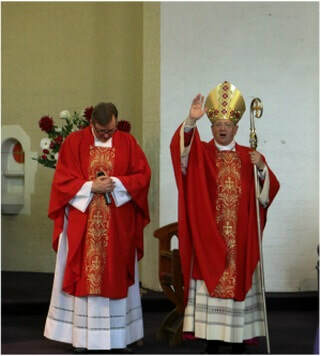 Archbishop Smith placed the Parish in the care of the Ordinariate of Our Lady of Walsingham in January 2013. Since then the Parish Priest, Fr Christopher Pearson, has led efforts to both grow the congregation and to raise funds to complete several projects, including the installation of underfloor heating, but he believes that the time has now come when the Parish must seek help from beyond the regular congregation to improve and repair the Grade II listed building. Commenting on the need for the appeal Fr Pearson said, “The area around the Borough is rapidly developing and our congregation consists of a broad mix of both long-term local residents and people who have moved to the area more recently for work or study. The Church is open all day and a steady stream of people use it as a place to pray or just find some peace and tranquility. As a congregation, we have already raised and spent over £100,000 in the past two years on improving the facilities; to complete the restoration project we must now seek funding from other sources. Watch this website to find out more about the appeal and to make a donation here.